OK, that's a quick blast for today. 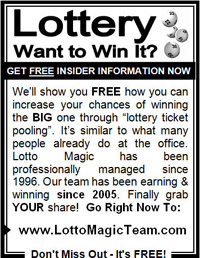 Currently working on the voice over for the NEW Team Free Lotto Magic (TFLM) video's which will be used on the free member mini-marketing sites. 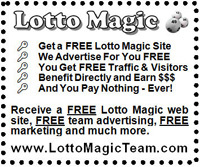 You can view this major team building project at: Team Free Lotto Magic just understand that it is NOT in it's final stage. 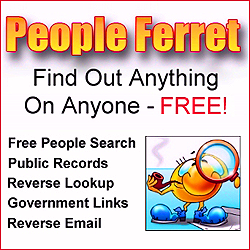 As I understand from Whitney there are 6 additional templates in the works for use by the Lotto Magic members there, privacy statement to add, "get a free page like this" intro page and then the vids I'm working on. Thanks to Steve (you da man) for his input on the new URL rotator for TFLM, it works fine!